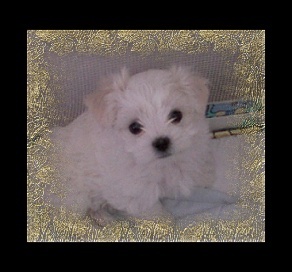 Occasionally, I have a puppy I will let go to a qualified home. All puppies sold as pets are sold on a spay/neuter contract. With a limited registration. The puppy will be guaranteed up to 1 year. They also will be vet checked and have at least 2 series of vaccinations. 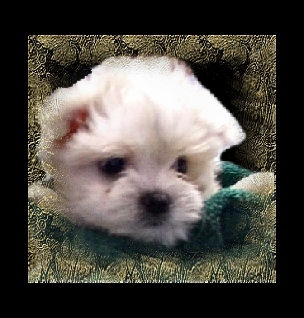 Every puppy will be sold as a suitable companion. With proper care and training they will be a great pet. They will have been bred to AKC standards and will represent the breed as the standard intends them to. I do not sell show prospects. I sell show dogs. The show dog will be 6 months old. This dog will go beyond the definition of a pet dog. 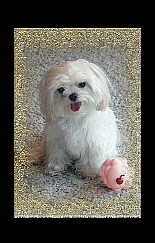 It will be qualified for registry with the AKC on an open registration. 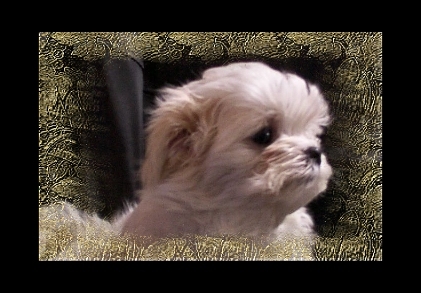 All stud rights on male show dogs are closed to the buyer solely. Any pups are sold as pets or are kept for the buyer to use in their own kennel. The puppy will be free from all disqualifying faults for the breed at the time of sale. Very rarely do I have a show dog for sale. I breed for me first and foremost. 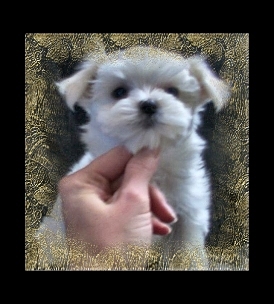 Chili pictured above is an exceptional example of a Laureal Maltese pup. We occasionally will have a pup for family pet placement see below for more information on pet quality puppies. 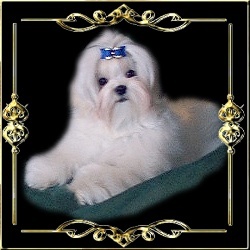 Laureal Maltese they are examples.